Keeping lips hydrated is extremely important during the long, cold winter months. For the past few months, I’ve been reaching for Mary Kay Satin Lip Set. 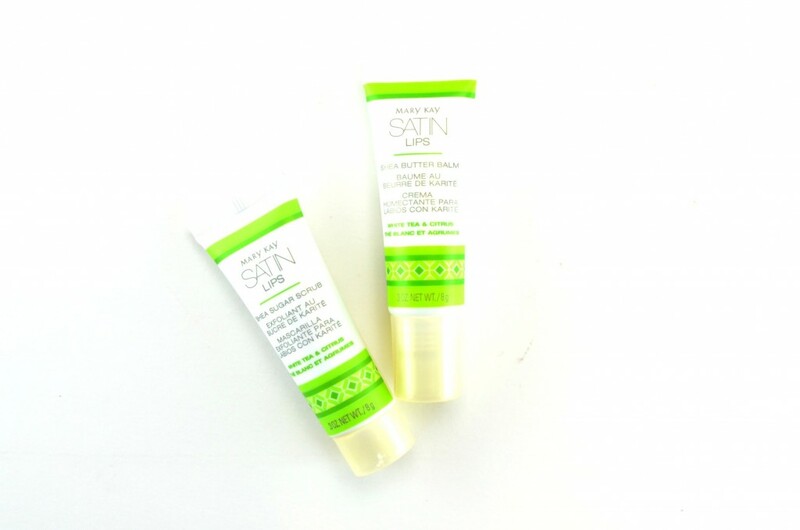 This amazing duo features a shea sugar scrub and shea butter lip balm to help keep lips kissably soft all day long. It features nourishing shea butter and white tea and citrus to not only help heal dry, chapped lips, but leave them feeling incredibly fresh and nourished. First, gently massage the sugar scrub onto your lips to help sloth away any dead skin and flaky patches. It helps to instantly exfoliate the skin to leave it incredibly soft, smooth and polished. Then moisten and hydrate the lips with the butter balm. 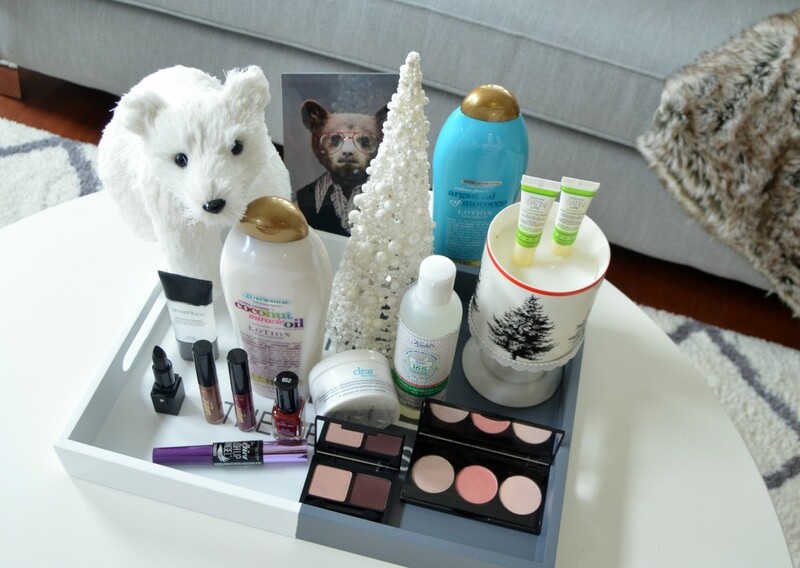 Both go hand-in-hand for creating that perfect pout this season. It retails for $32. I just did an entire blog post on the Tarte Tarteist Creamy Matte Lip Paints, which you can find here. Since I’m so obsessed with them, I had to feature my two favourite shades at the moment. 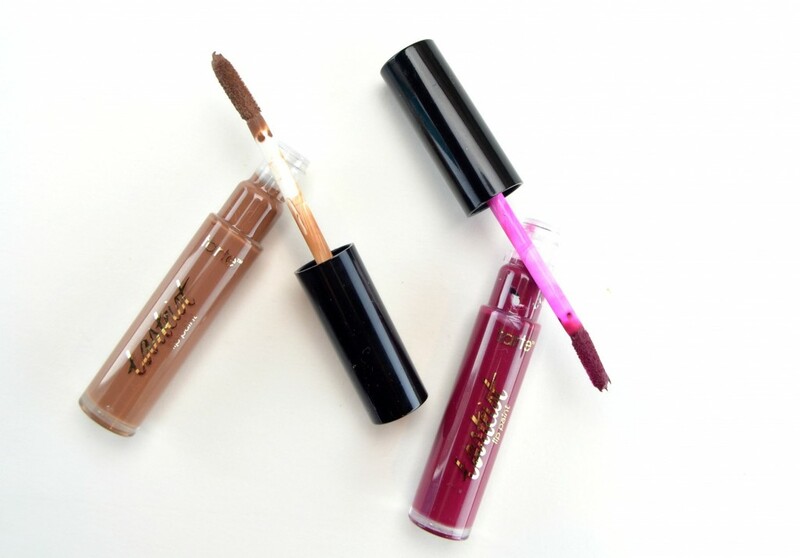 These are a great alternative if you’re over those thick, dry, long-wearing, matte lipsticks. These are lightweight, incredibly mousy, comfortable to wear and ultra-pigmented. The unique paint brush style wand with its ergonomically slanted, soft applicator, provides a flawless application process. It glides on effortlessly, is easy to reapply and fully saturates the lips in high-definition colour. Build up the intensity to take you from day to night thanks to its luxurious and velvety smooth texture. 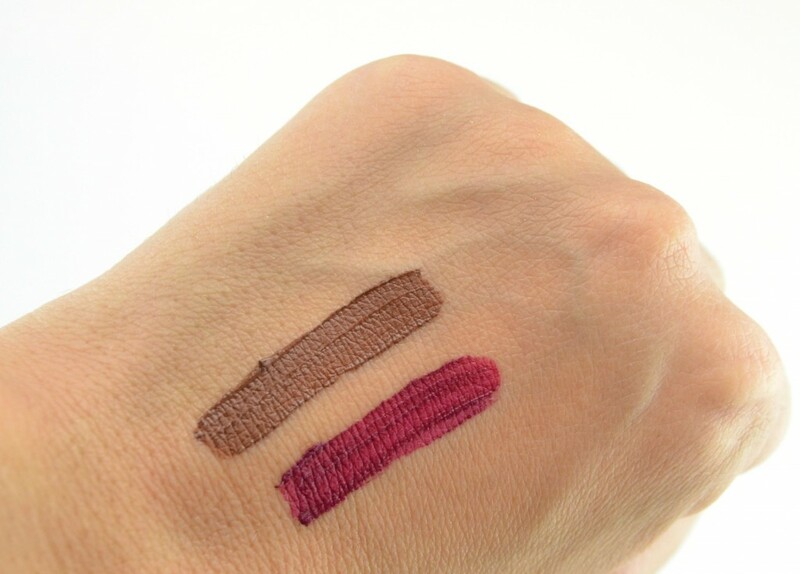 They come in an array of stylish matte shades, but I highly recommend Brownie and Hangry for fall and winter. Each shade retails for $24 at Sephora. 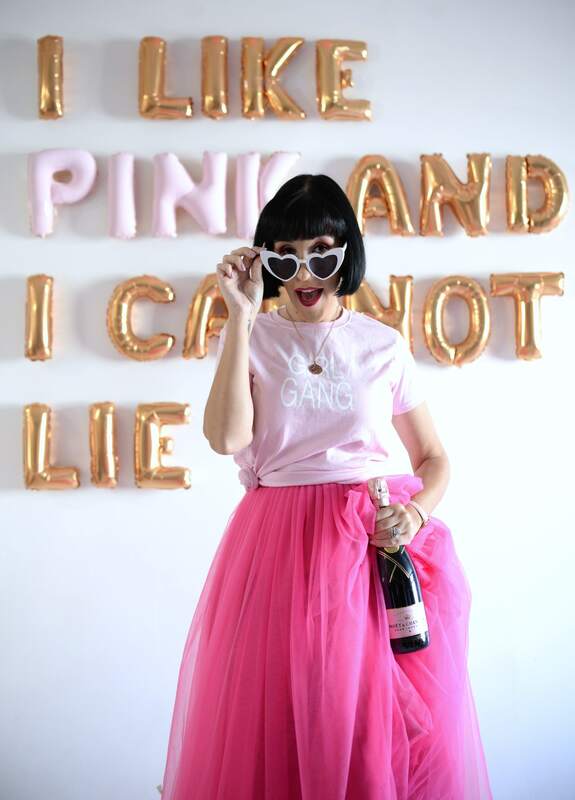 Liquid lipsticks not your thing? Still looking for this season’s hottest, trendiest colour? 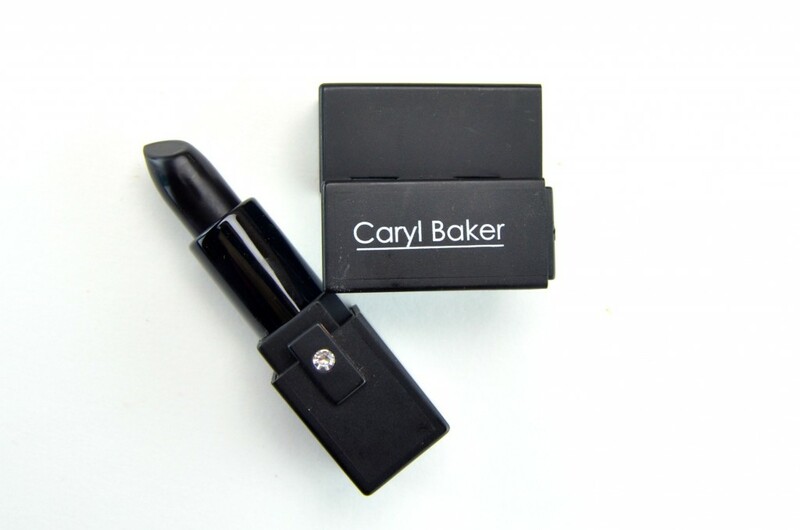 Try the new Caryl Baker True North Lipstick in Notre Dame from their Holiday 2016 Collection. 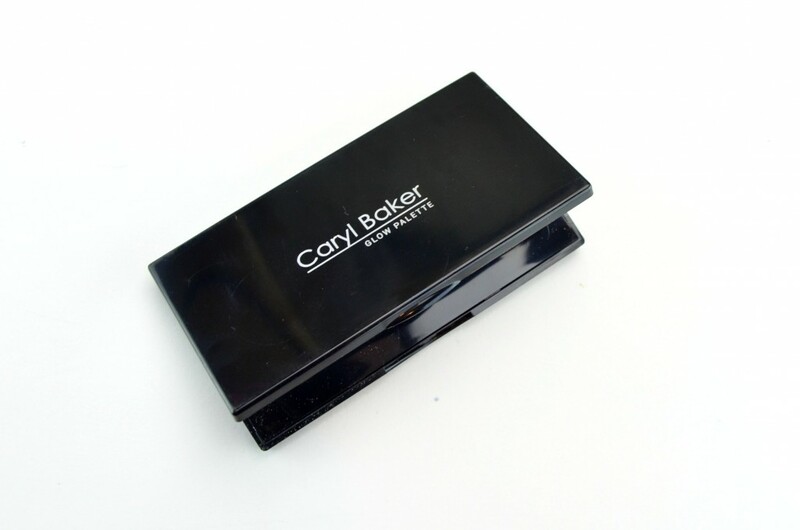 It comes in a sleek lock-style design packaging with flip-out, built-in mirror. It features a rich and creamy, extremely silky and smooth texture that glides across the lips with ease. It’s formulated with shea butter and avocado oil to help keep lips moisturized and nourished. 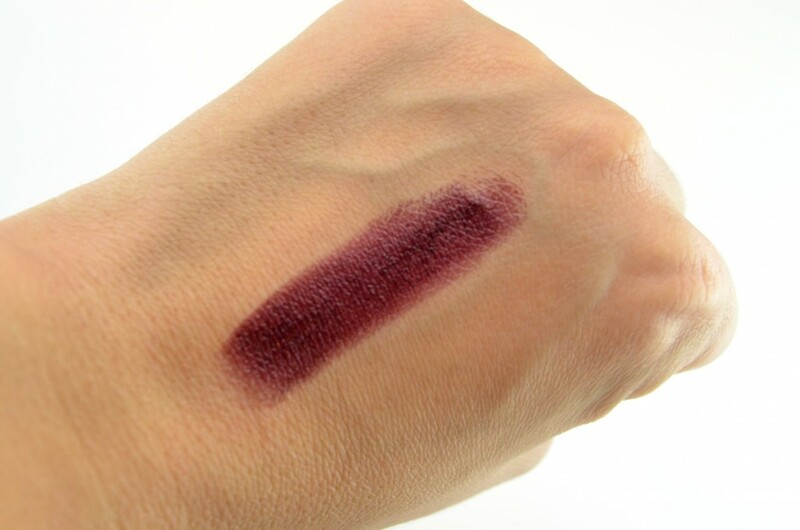 It’s comfortable to wear, doesn’t settle into fine lines, nor does it bleed outside the lid (which is extremely important for a dark and vampy lippie). 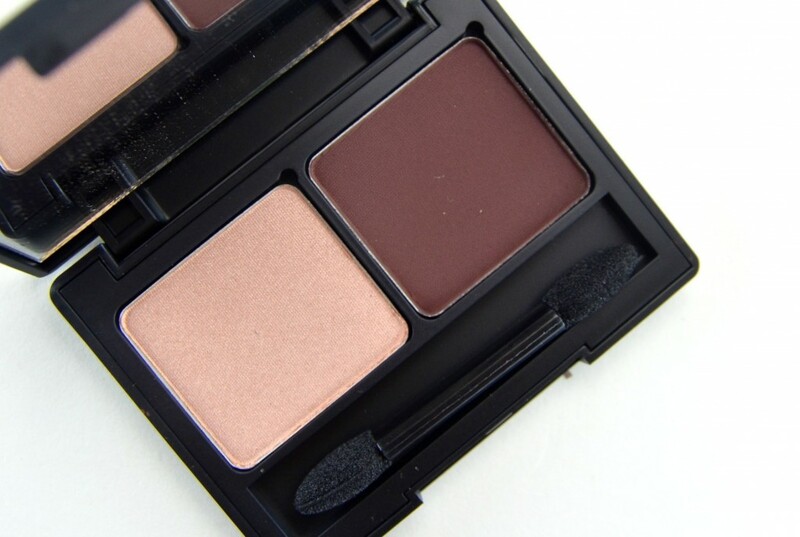 Although not fully opaque, it’s highly-pigmented and provides an intense pop of colour. It has a beautiful sheer and shiny finish that stays put for a solid 4+ hours before slowing fading. It retails for $18.50. 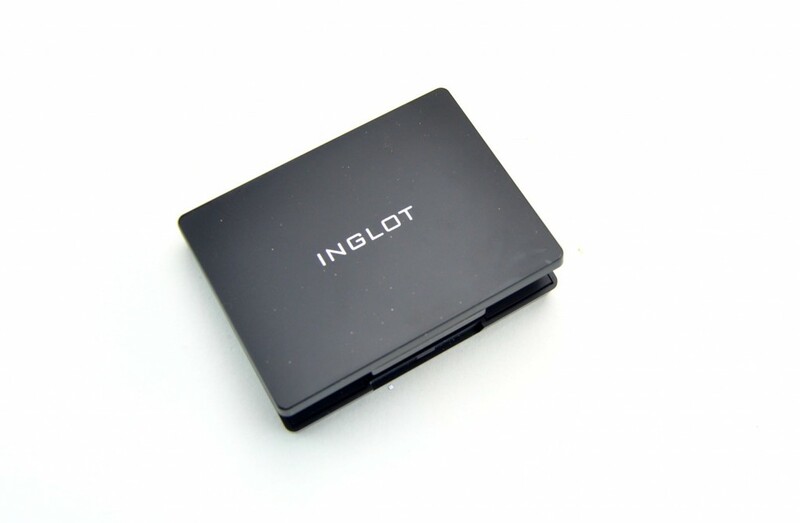 Inglot Freedom System Palette is perfect for the busy women on the go. The palettes come in a large range of sizes and products to give you the freedom to create whatever makeup look you want and desire. 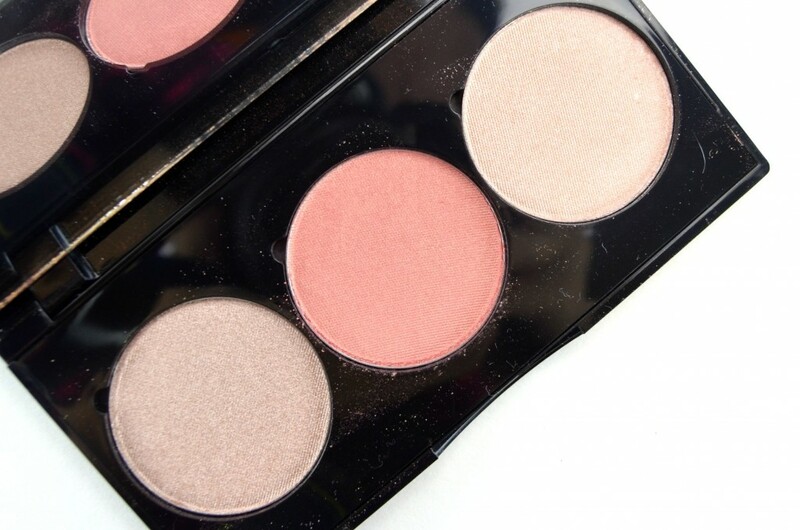 A large magnetic is placed at the bottom of the palette to hold each pan in place, but allows you the ability to rearrange and switch up the shadows as you please. I have two eyeshadows, one from their OG line and one from their new What A Spice collection. Both feature silicones and treated pigmented to help boasts high lubricity with a silky touch texture. 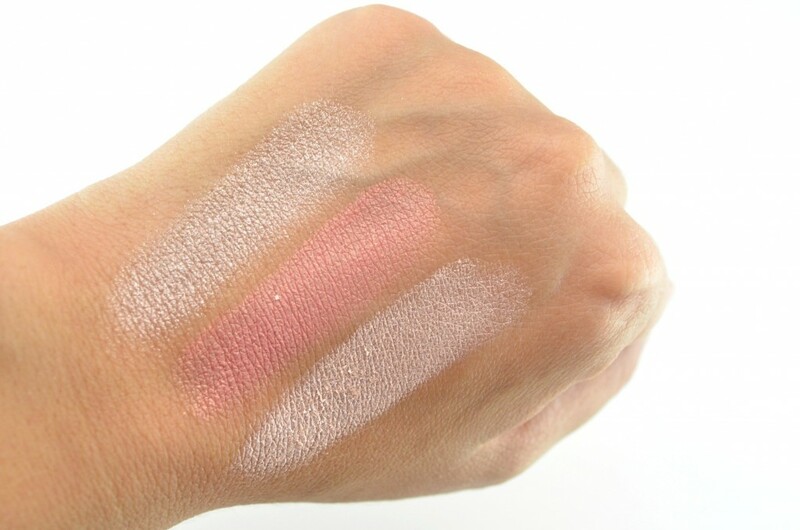 Its buttery smooth formula is easy to apply, long-lasting and crease resistant. 397 is a warm, peachy beige with a pearl finish and 302 is a stunning rich and deep purple matte. It retails for $18. 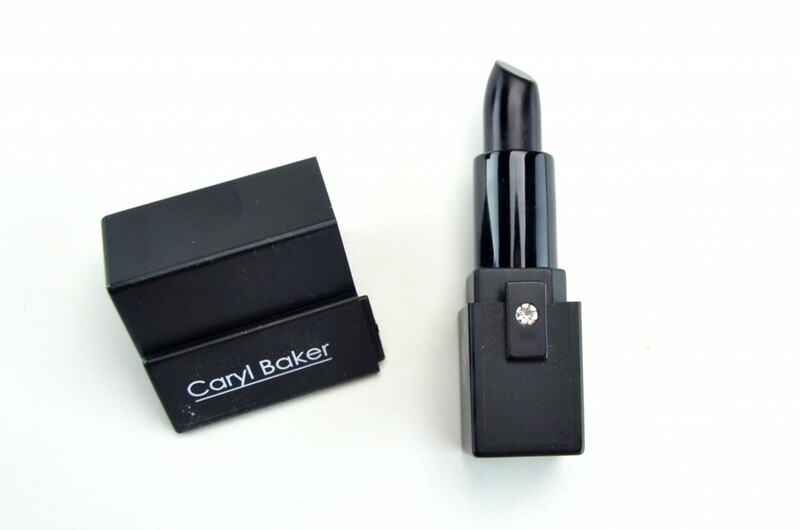 Caryl Baker True North Highlight Palette is also a part of their Holiday 2016 Collection, just like the lipstick. 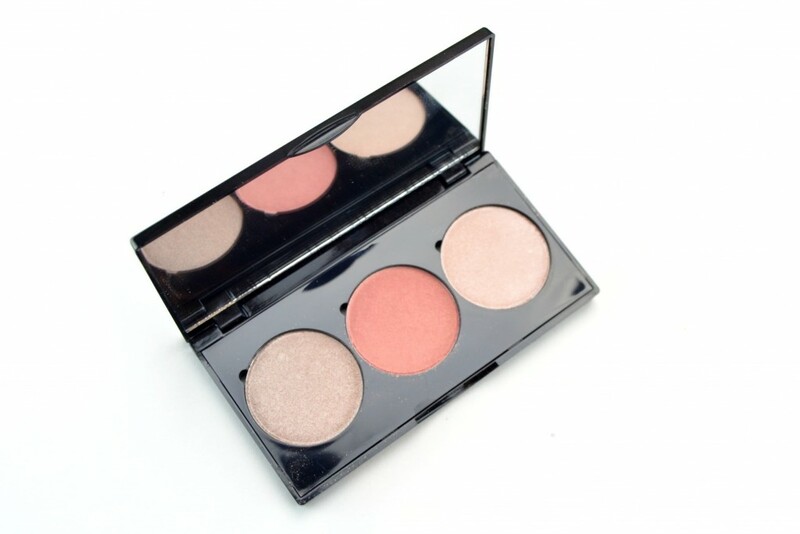 This highlight trio features 3 sheer-finish, triple milled powders to help create that perfect “fresh from the outdoor” luminous glow. 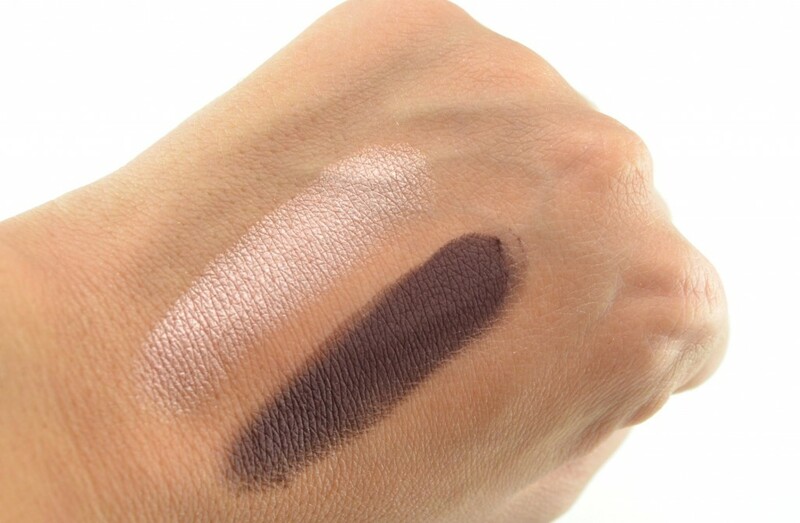 It’s rich and creamy texture is not at all powdery, has absolutely no fall out and is intensely pigmented. With the perfect synthetic angle brush you can easily pick up just the right amount of product to create an extremely natural look. 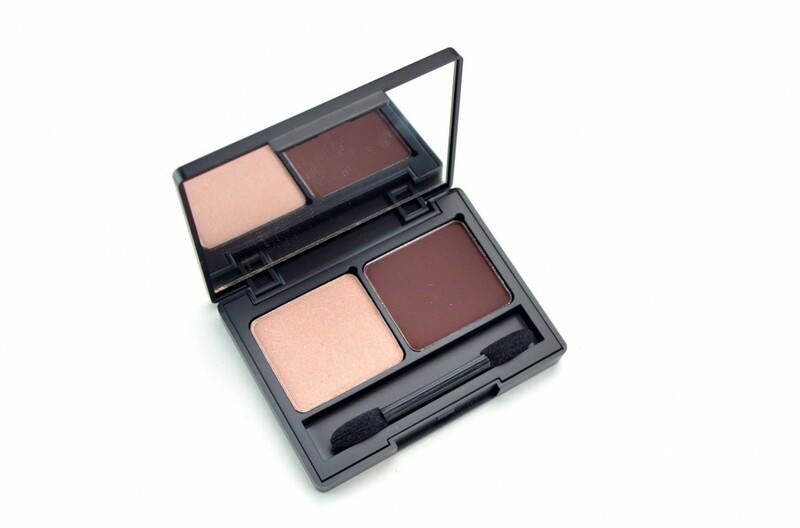 It instantly helps to emphasize your cheekbones for that bright and brilliant, radiant glow. These highlights stay put the entire day without fading or becoming patchy. It retails for $46. 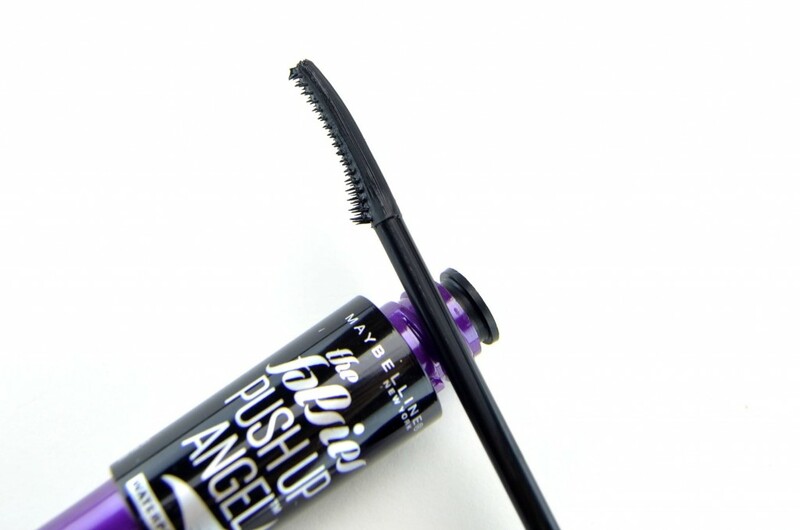 The new Maybelline The Falsies Push Up Angel Mascara is one of those mascaras that you’re going to either love or hate. Since it’s in this favourite, it’s safe to say I love it. Is it the best mascara I’ve ever tried, absolutely not. Does it help to create that perfect winged out eye, absolutely. It’s the new intriguing brush design that will take some time to get used to. 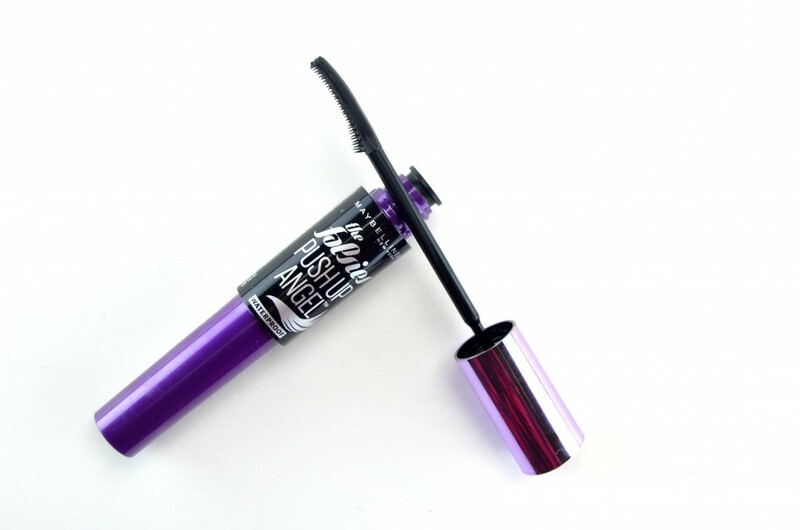 Unlike the OG Push Up Drama Mascara that features a traditional wand and bristle, this one only has bristles on one side. Its wing-like curve features both short and long bristles. This helps to add volume and fan out the lashes. The incredible short bristles help to get extremely close to the base of the lashes for mega volume. The slightly larger bristles help to grab onto each lash individually to help lengthen and flare out. You’re able to get right up to the base of your lashes to create a winged out effect. The brush combs through each lash without clumping and stays put the entire day without smudging or flaking. It creates perfectly long, fluttery, flirty, natural looking lashes in a coat or two. It retails for $12.99. 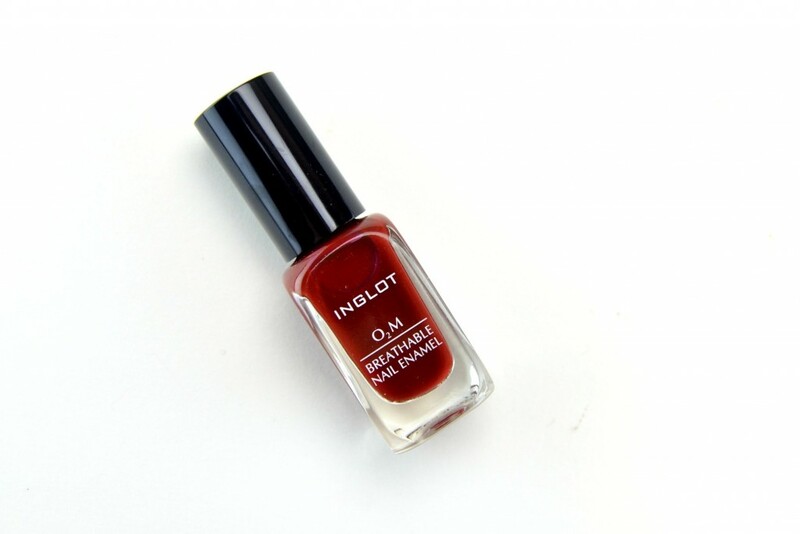 Nail polish colour of the month, Inglot O2M Breathable Nail Enamel in 652. The perfect holiday red. It features a unique formula that helps to keep nails healthy and strong. The perfectly sized brush allows for easy application and flawless coverage in a single stroke or two. It seems to contain a fairly fast-drying formula and delivers a high-shine finish. The colour stays put for several days without becoming dull or chipping. It retails for $22. 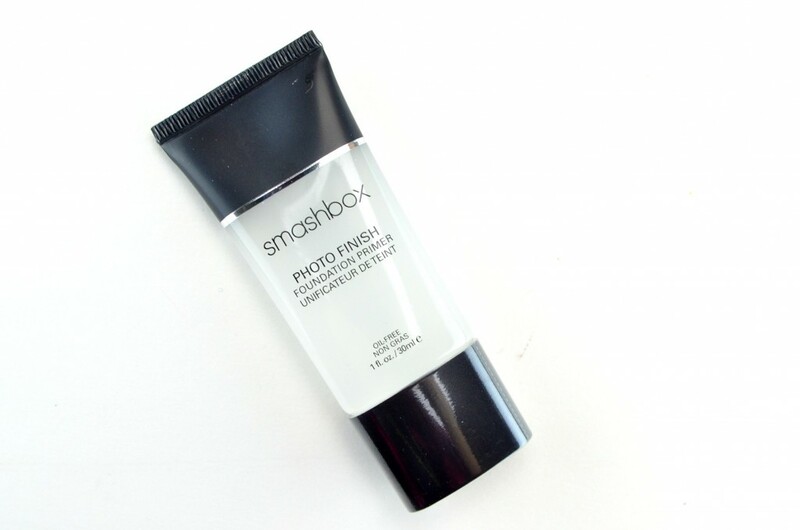 Smashbox Photo Finish Foundation Primer was my Holy Grail face primer for years. Then for whatever reason, I stopped using it? There’s always a hot new product on the market, a new innovated beauty creation we must try, that we often forget about the classics. This oil-free, water-based silicone-based serum primer is extremely lightweight and doesn’t clog pores. 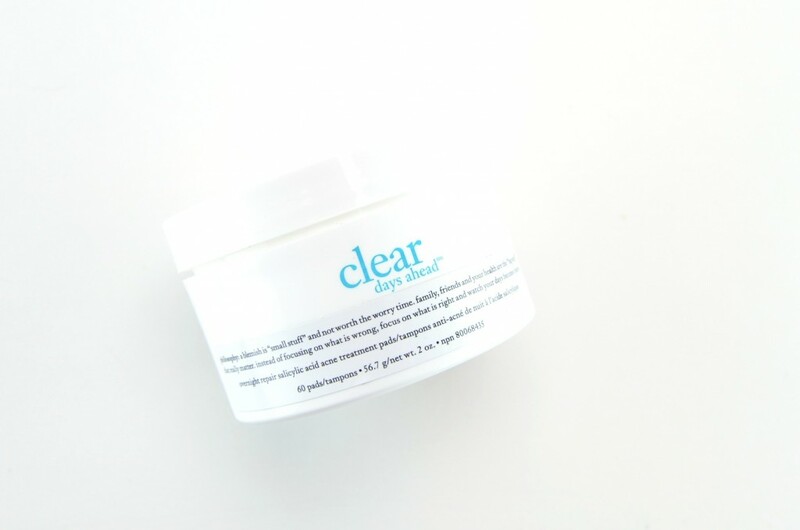 It’s perfect for those with sensitive skin or prone to breakouts. It features a thin, clear gel-like texture, applies evenly and creates the perfect base for your foundation to adhere to. This also helps to smooth out your complexion, blur imperfections and ensures a semi-matte finish all day. It helps to prolong the wear time of your foundation with reducing the appearance of pores. It retails for $44. I’ve been keeping my breakouts under control thanks to Philosophy Clear Days Ahead Overnight Repair Salicylic Acid Acne Treatment Pads. These easy-to-use, acne treatment pads instantly help reduce future breakouts for clearer, smoother skin. I’m obsessed with salicylic acid, it’s an excellent way to sloth off dead skin and promote new skin cell turnover that in returns fights acne. Philosophy Clear Days Ahead Overnight Repair Salicylic Acid Acne Treatment Pads are pre-moisten, making them incredibly easy to use. The pads contain glycolic and mandelic acids, known to help improve enlarged pores, discolouration and acne scars. Simply swipe over entire face one to two times a day. 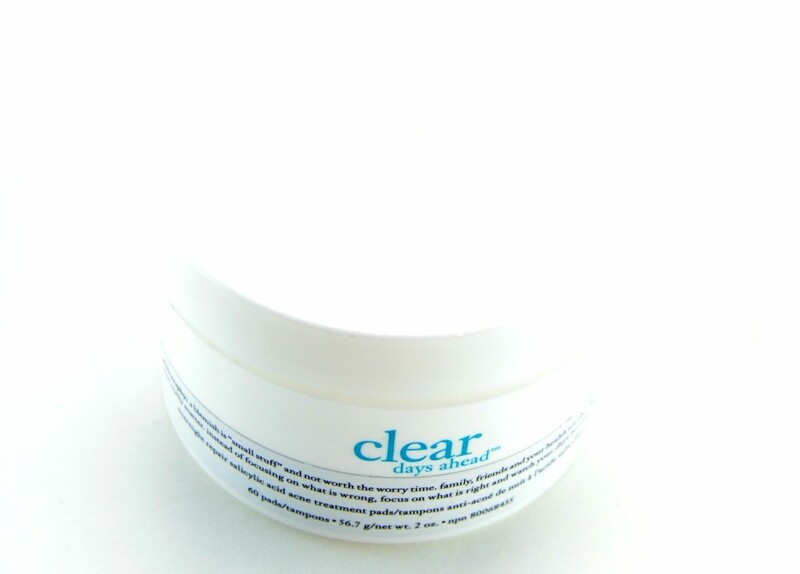 With daily use it will help to leave skin refined, refreshed and with a more even complexion. It retails for $49 for 60 pads. If you’re looking for a slightly gentler and more budget friendly option, I’m also in love with Nip+Fab Glycolic Fix Night Pads Extreme (found here). I’ve already re-purchased these 5 or 6 times. You know I don’t switch up my shampoo too often. When I do, it has to be just as amazing as my beloved Redken Color Extend. 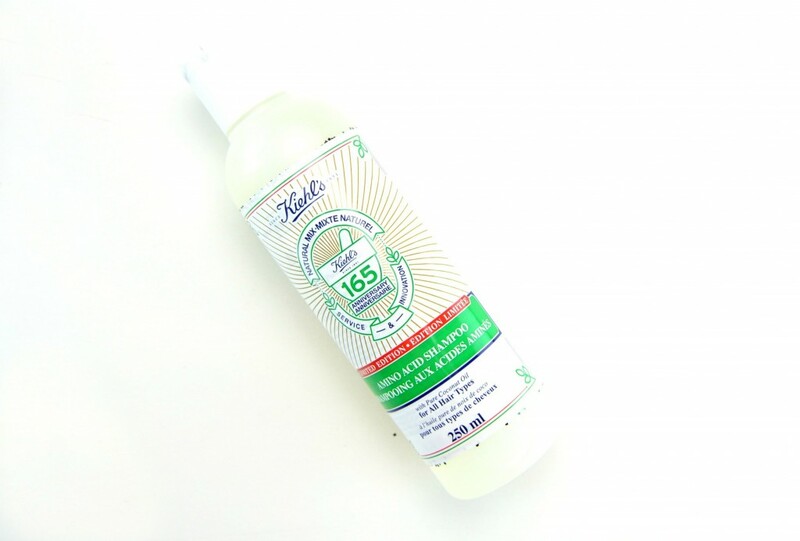 Kiehl’s 165th Anniversary Limited Edition Amino Acid Shampoo is a naturally-derived shampoo that helps to cleanse and soften the hair. It features both amino acid and coconut oil to help create a delightful, rich and creamy lather. Also contains a blend of moisturizing ingredients that helps to add softness and shine, perfect for the dry winter months. Kiehl’s Amino Acid Shampoo helps to add a ton of body and fullness to fine, thin hair. It’s one of the few shampoos that actually allows me to skip a conditioner. It’s so hydrating and nourishing on its own, you don’t need that extra step of moisture. It helps to conditioner the hair, leaving it more manageable and with fewer knots and tangles. It doesn’t seem to strip my hair of its natural oils nor does it fade my colour any quicker than my Redken shampoo. Fly-a-ways and frizz are under control, even before my flat iron. It retails for $27 for 250ml. 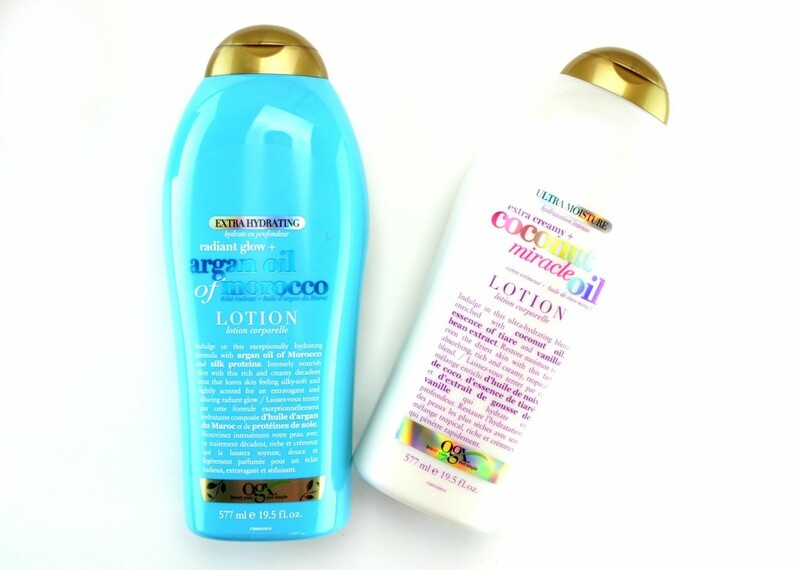 Been loving the OGX Lotions lately. I’ve honestly went through like 3 bottles in the past few months. Each scent is just as yummy as the next. Argan oil of morocco coconuts, sea mineral, eucalyptus mint, they all smell delish. Each features exotic ingredients in a rich and creamy formula. It absorbs into the skin within a few short minutes and helps to restore moisture loss. It’s lightweight, non-greasy and helps reduce scaly, rough, cracked skin in a few short days. 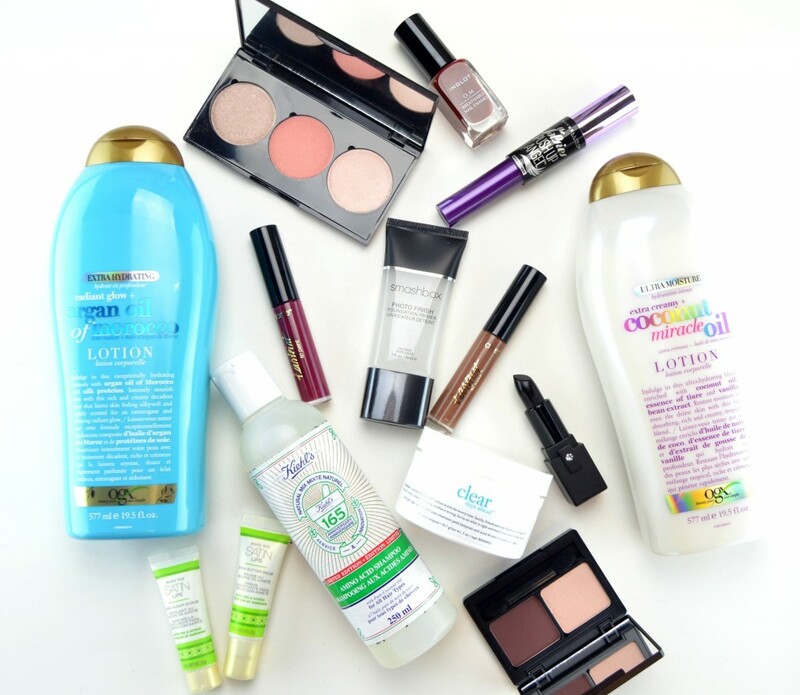 We’re talking 24+ of smooth, silky, luscious, hydrated skin in an array of scents. Each retail for $10.99. Previous Post Could I Be Any More Canadian?